I’ve always been a saver. While yes, I’m pretty thrifty and love to save money what I mean is I tend to save things I think I can use later. Sometimes this comes in handy (like you’ll see in this post!) but sometimes I feel a bit like a hoarder. This week I spent 3 HOURS cleaning out my craft room. I’d gotten to the point that I’d end up frustrated anytime I tried to work on a project so I decided it was time to finally sit down and go through everything. I can’t tell you how happy I am with the space now! Everything is organized and tidied up! I threw a LOT of stuff away though and made room for lots of cool new projects. One thing I came across in my closet that I did NOT get rid of was a huge bag of yarn I’ve had for years! I tried to learn to crochet years ago and never really picked it up. 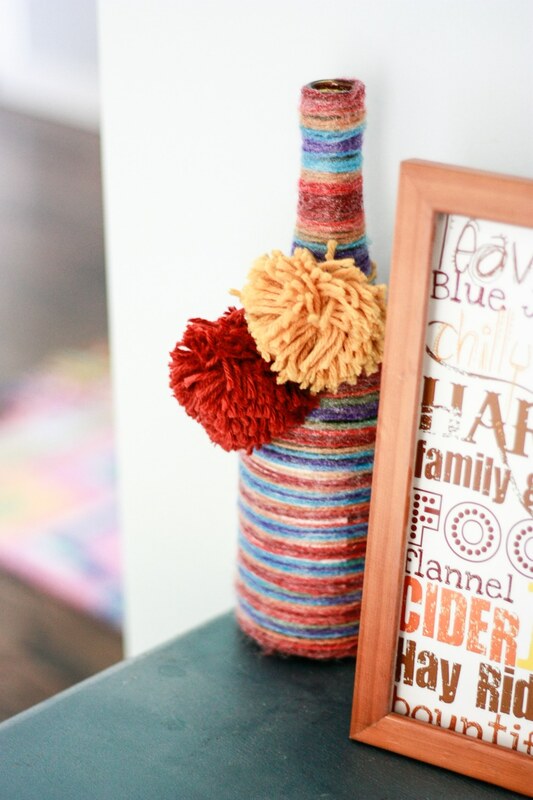 Instead, I decided to upcycle wine bottles into colorful home decor with these yarn wrapped bottles! 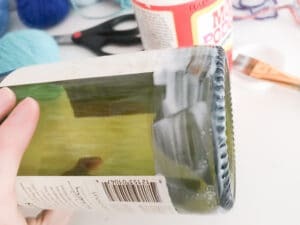 STEP 1: Start by painting about an inch of Mod Podge around the bottle. STEP 2: Gently apply the yarn (holding the end in place) and start wrapping slowly. STEP 3: After you’ve wrapped it around a few times you’ll notice it gets tighter and you can then start wrapping faster! 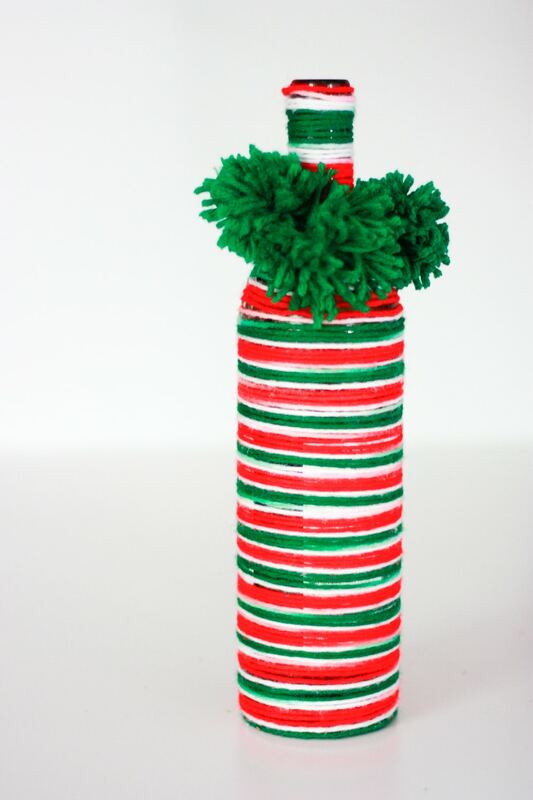 STEP 4: Keep applying glue and wrapping until you reach the other end of the bottle! I first tried the project with variegated yarn in autumn colors and it worked really well. Only having to start and stop once made the process go much quicker and it looked much tidier because you couldn’t see where each color stopped and started. I also added the cute little pom poms as embelishments! 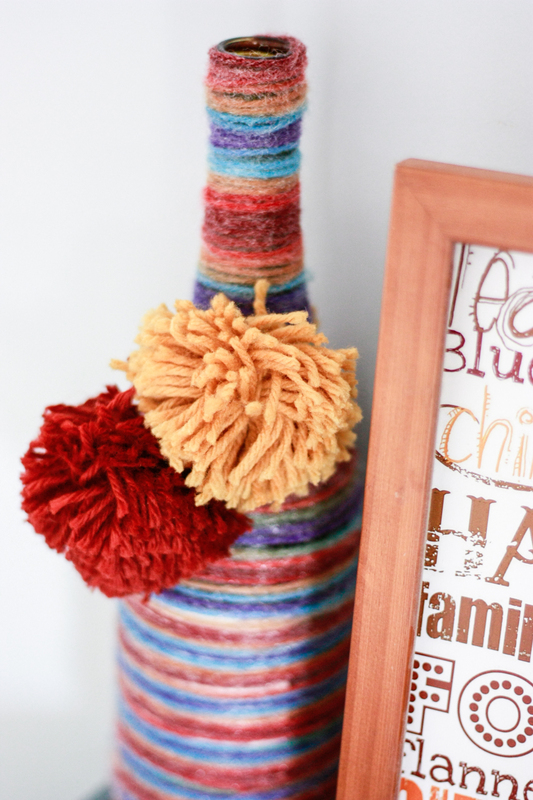 You can see my pom pom tutorial here. 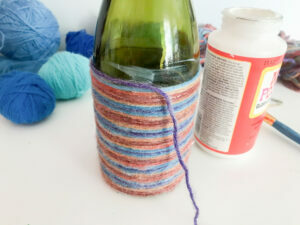 I also tried the project with different solid colored yarn. 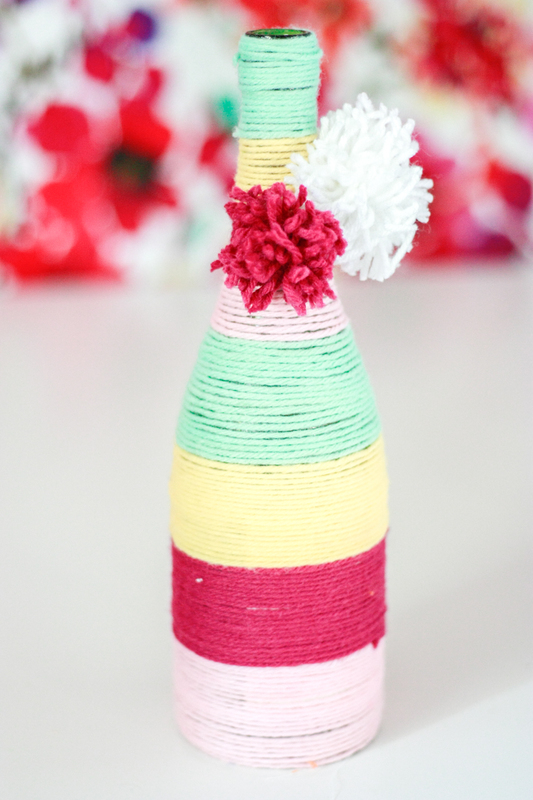 I did a spring inspired bottle with colorful stripes! 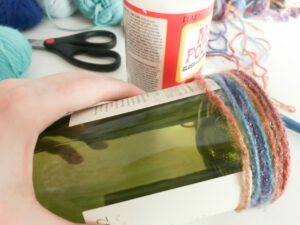 To do the solid stripes, you want to make sure you choose a back and a front of the bottle since you’ll be able to see where you start and stop the the yarn. 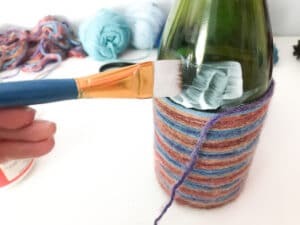 Put the not so pretty sections in the back 😉 You can upcycle wine bottles and create yarn wrapped bottles for a unique holiday decoration – easily customized for any holiday. Finally something to do with all of those old rum bottles!